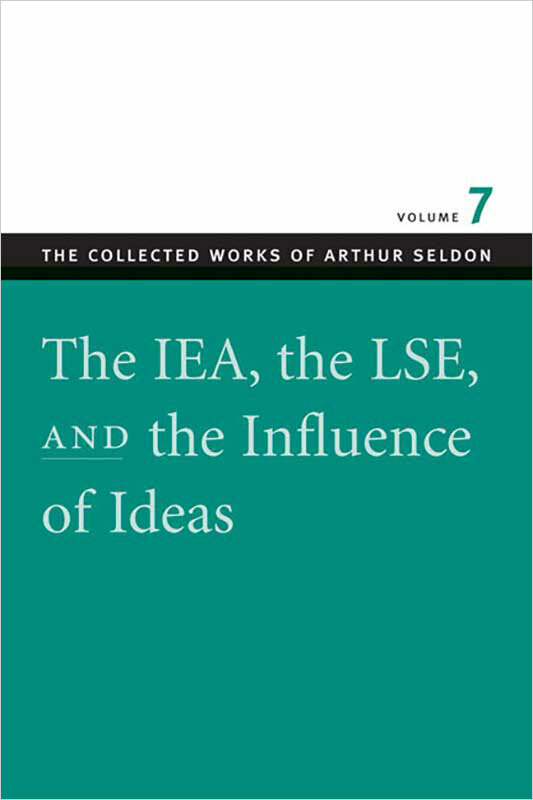 Volume 7 of The Collected Works of Arthur Seldon includes six works that discuss the role of the Institute of Economic Affairs, where Seldon spent most of his working life. Friedrich Hayek regarded himself as partly responsible for the creation of the IEA. The Institute, founded by Sir Antony Fisher, was influential not only in the United Kingdom—where it had a major impact on the policies of the Thatcher governments of the 1980s—but all around the world. Many of the classical liberal and free-market think tanks in the United States and other countries were established by Fisher and were modeled on and took their inspiration from the IEA. In the works in this volume, Seldon emphasizes the power of ideas to transform society and provides insight into how he saw the place of the IEA (and his own role within it) in starting to bring about that transformation. Arthur Seldon has been writing on classical liberal economics since the 1930s, when he was a student at the London School of Economics during Friedrich Hayek’s time there. For over thirty years, from the late 1950s, he was Editorial Director of the London-based Institute of Economic Affairs, where his publishing program was one of the principal influences on governments all around the world, persuading them to liberalize their economies. His Collected Works in these seven volumes are a major contribution to classical liberal thought. Colin Robinson was a business economist for eleven years. He was then appointed to the Chair of Economics at the University of Surrey, Guildford, United Kingdom, where he founded the Department of Economics and is now Emeritus Professor. He is the author of 23 books and over 150 scholarly articles and has edited many other books. For many years he has been associated with the Institute of Economic Affairs and from 1992 to 2002 he was the IEA’s Editorial Director.